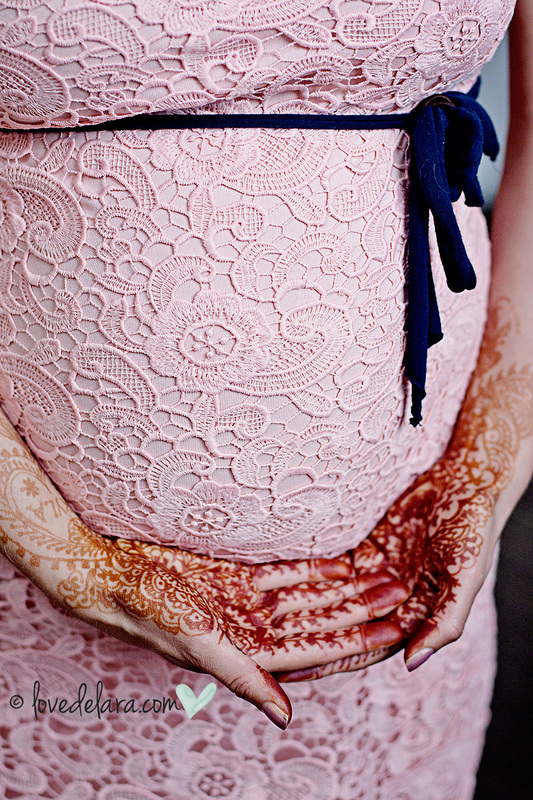 We’ve long awaited this pregnancy and it has finally arrived, by God’s grace. My BFF and husband probably got really tired of people asking them when they planned on having kids since everyone around them was either pregnant or had kids (including myself). God’s plan is perfect and they are now enjoying this very precious time. 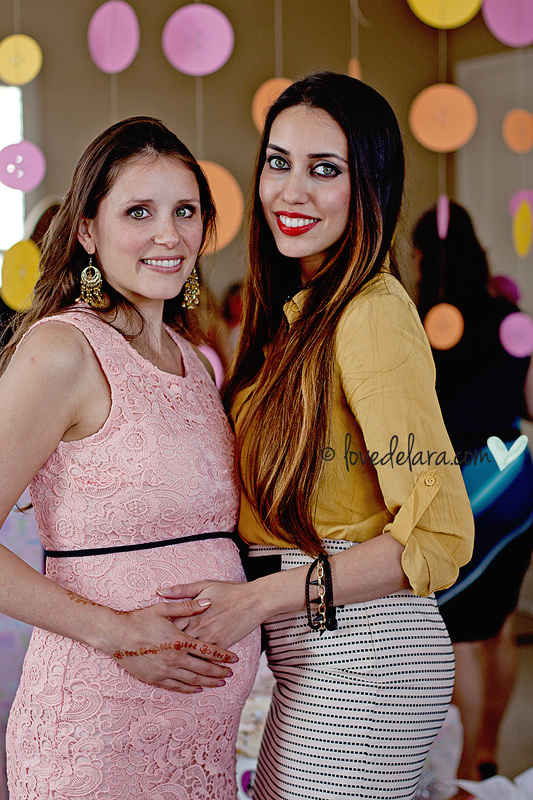 I don’t think I can count with my hands how many times she has helped coordinate someone’s baby shower. So now that she is expecting everyone returned the love and helped out in some shape or form with her “Cute as a Button” themed party. It worked out really nice because everything was evenly distributed and went so smooth! Also, since we all helped plan each other’s showers we had a little experience in streamlining the process. If you’re planning a shower I really recommend starting early and delegating tasks to friends & family as much as possible so that it is less stressful. 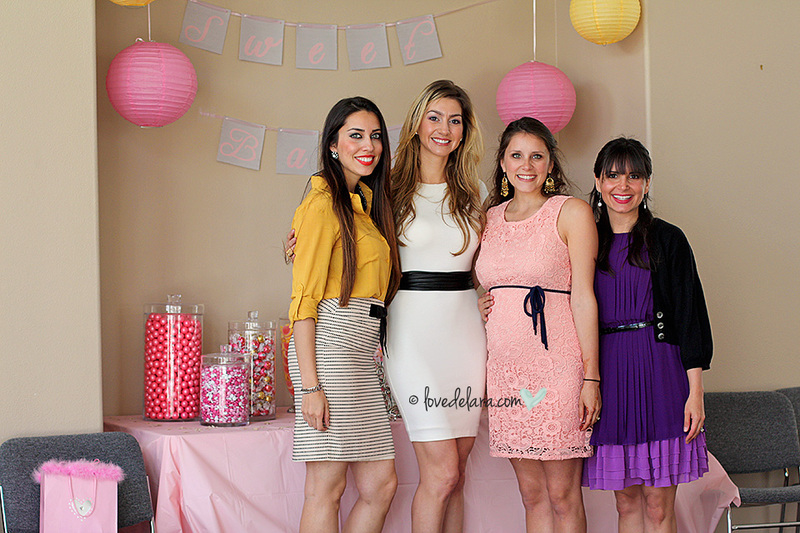 Grandma-to-be’s helped in providing delicious Persian & brunch style food and the Auntie-to-be plus friends helped with decorations, invites etc. I designed the invites and got them printed through VistaPrint and got a pretty good deal by using one of their perpetual coupons. The mommy & baby advice cards turned out really cute because I found a bird cage from TJ Maxx where guests could fold and submit their completed cards through the bars. I had a frame that we used for their pregnancy announcement photo which I re-purposed and inserted black matting for guests to sign and leave a message around her silhouette “baby bump” photo. 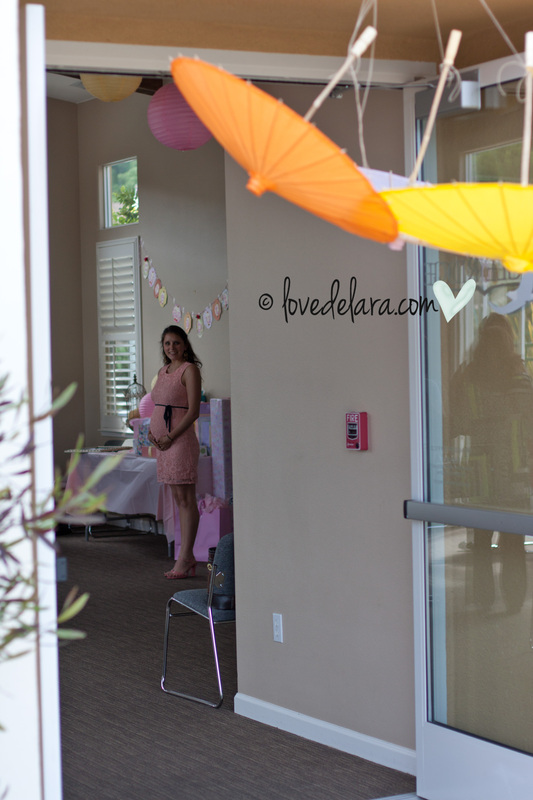 We had button flower vases sitting on each table with umbrellas hanging from the covered patio area. 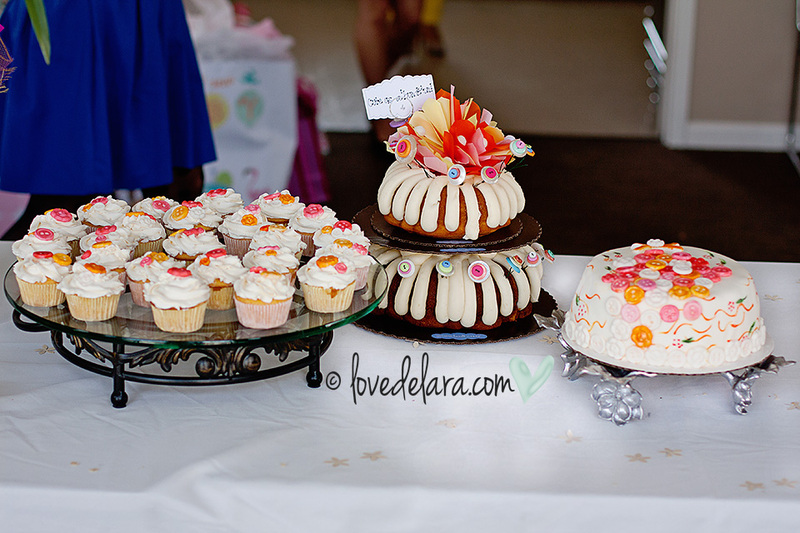 She had a custom Cute as a Button cake & cupcakes along with an extra Nothing but Bundts two-tier “Cute as a Bundtin” cake. We had some extra flower buttons so we designed the Bundt cake with it and it turned out really cute. 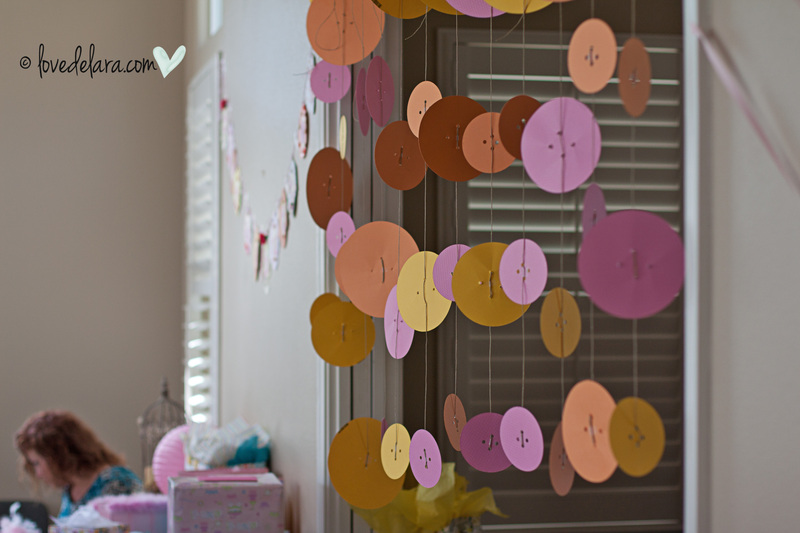 We ordered a “Cute as a Button” sign from Etsy and my friend made button streamers to hang from the doorways. On another wall we had baby photos of the mommy & daddy-to-be. Lastly, the games! We had three games the first one was hilarious…my girlfriend bought three baby bottles and filled it with water (about 1/3 full). She chose three women to participate and they had to drink from the bottle as fast as they can to see who can finish the bottle the quickest. The second game – the women had to balance a coin in between their legs and walk across the room. The third game – was for the kids, but adults can play this too. 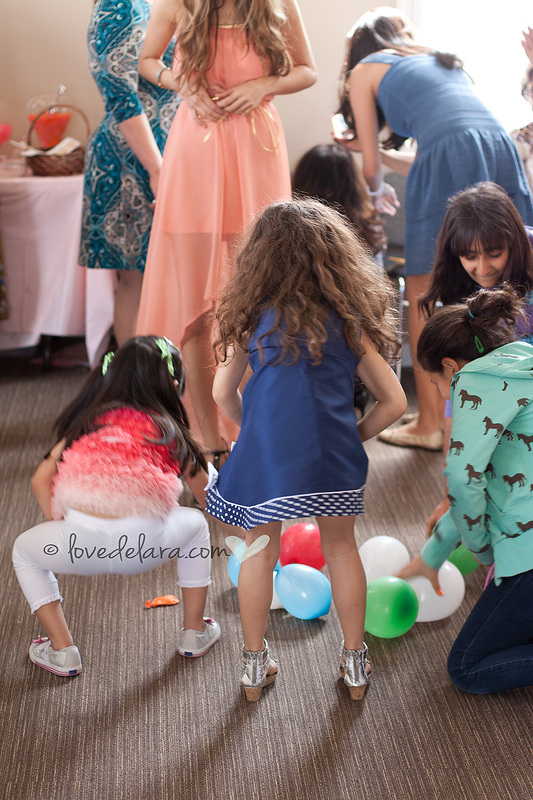 We had mini balloons blown up and they had to grab as many as they could and fit it under their dress/shirt. The winners all received a prize. We ended the day by opening gifts and overall everything went perfect! I have some pictures below of the event so you can get a better idea of the theme. You’re more than welcome to pin my photos and share with your friends 🙂 visuals are always helpful when you are trying to plan a party! 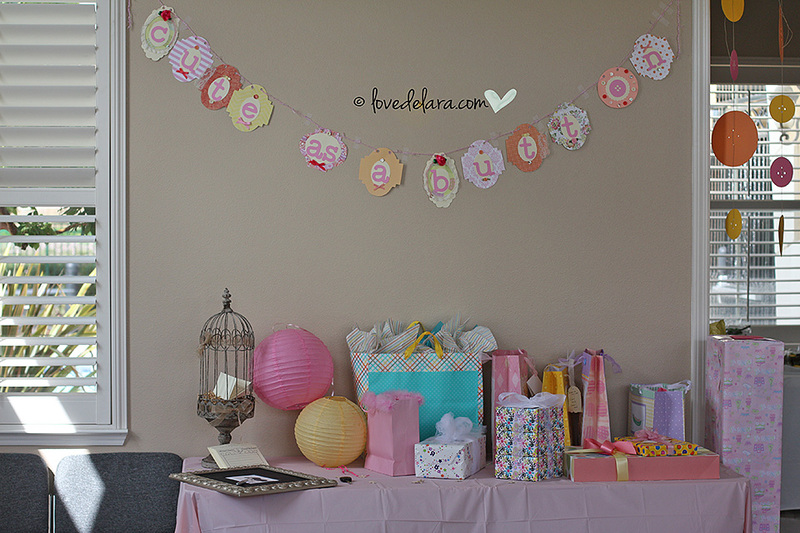 Cute as a Button theme – gift table with advice cards, frame & bird cage. 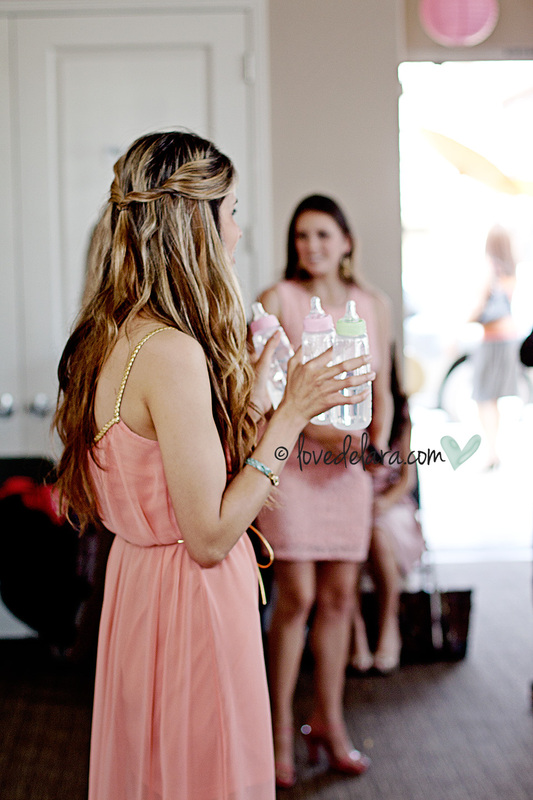 Bottle baby shower game – give the bottles to three participants and fill 1/3 with water. Have them drink out of bottle to see who can drink the fastest. 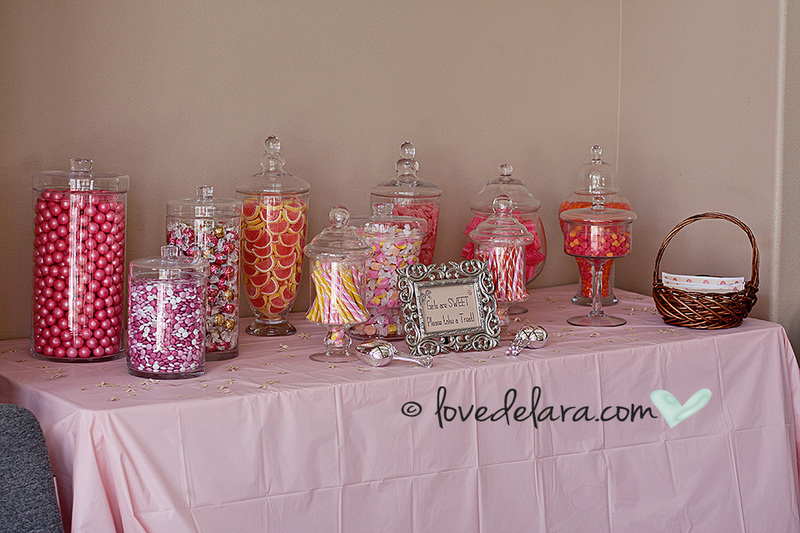 Baby shower game – give each participant a coin and have them walk across the room, winner receives a prize. 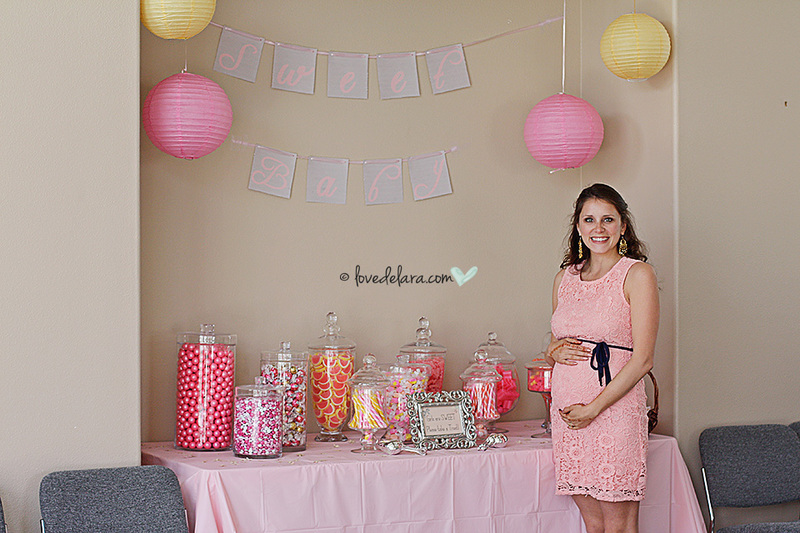 Baby Shower game – kids can participate in this one. Have mini balloons blown up and see who can grab the most to fit under dress or shirt. This entry was posted in On the Daily, Photography Love and tagged Baby bottle, Baby shower, Button, Chocolate bar, Etsy, Pregnancy, TJ Maxx, VistaPrint. Bookmark the permalink. 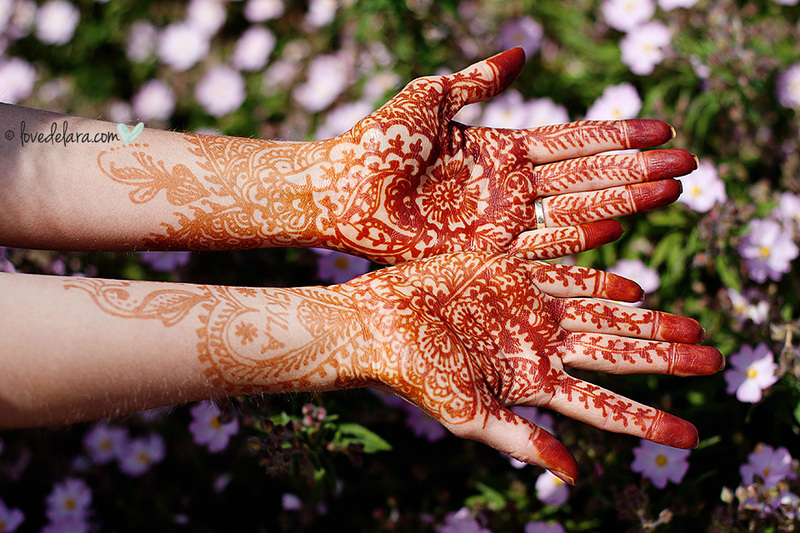 ← How effective is your skin care routine?